Finn and Fionna. Self-Explanatory. HD Wallpaper and background images in the ফিন ও জ্যাকের সাথে অ্যাডভেঞ্চার টাইম club tagged: photo finn fionna. ^i think the person who originally drew this didn't speak English as a first language. 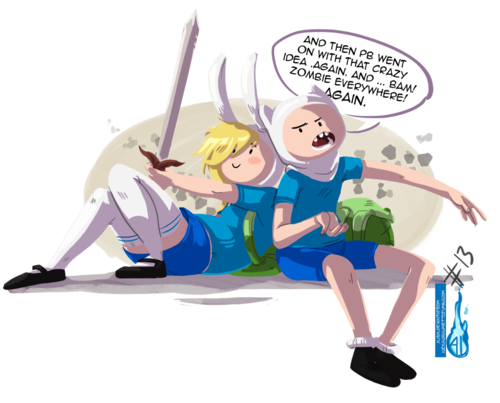 ^or just because Finn didnt really go to school. ^or it could have been a quick little mistake. ^i think they did it that way on purpose. it isn't off, it's just angled.